Once my grandma remarked. Although I don't 100% agree with this statement, it applies on this small stall on Dixon Food Court, which turns out to be a very welcomed hidden gem. Sometimes I feel like some Korean food for lunch, yet it's too troublesome to find a decent Korean restaurant around uni, especially if I'm going solo. On my first read about this restaurant (if you can call a stall in a food court a restaurant) made me beam with hope and enthusiasm. 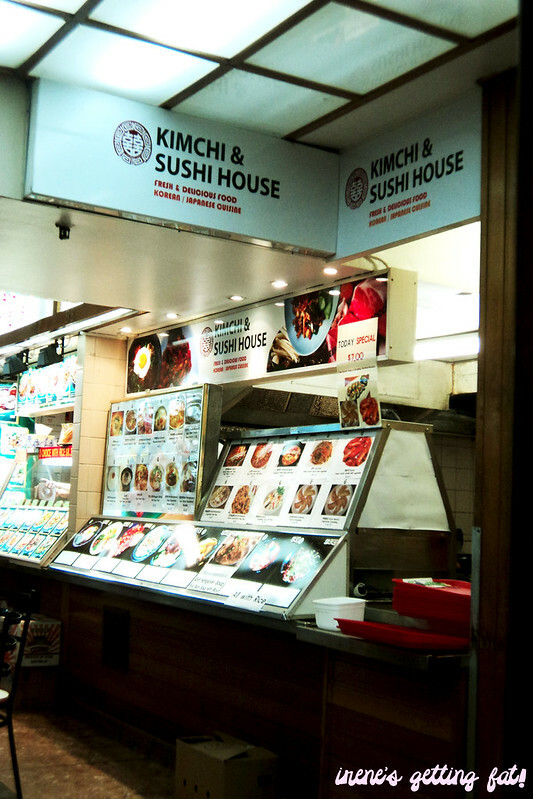 Tucked on a corner of the food court's entry, Kimchi & Sushi House is run by two completely friendly Koreans. Their English is limited, but they aren't short in providing the best service and warmth to the customers. I just love eating at a place where the owners are so welcoming like this. 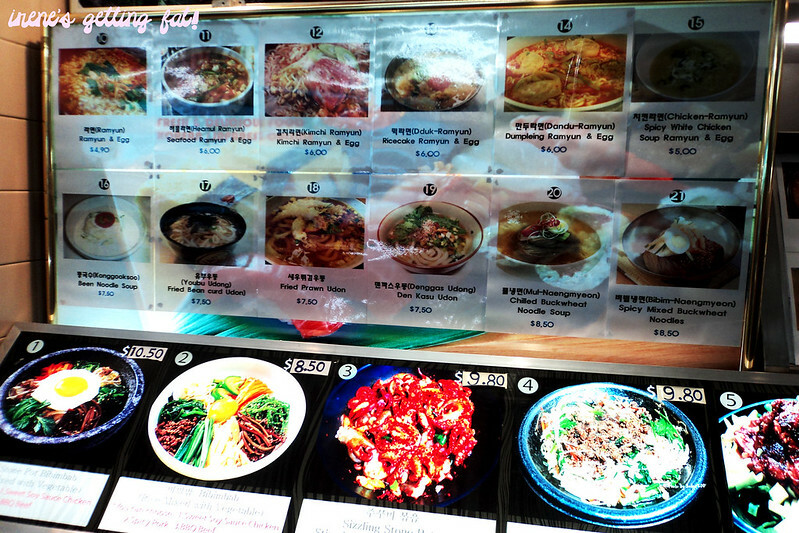 Their menu are printed and plastered on the counter, revealing familiar Korean dishes with incredible student prices. Yet another reason to love them. 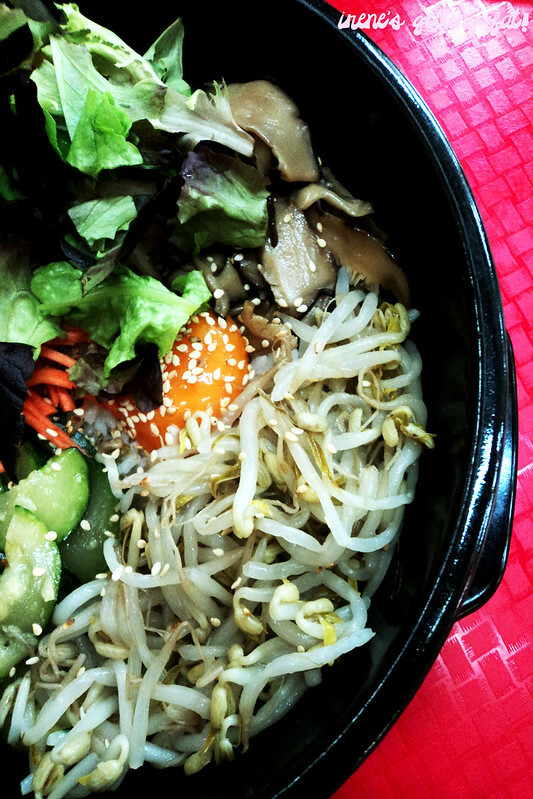 Their bibimbab was the first one that caught my eyes. 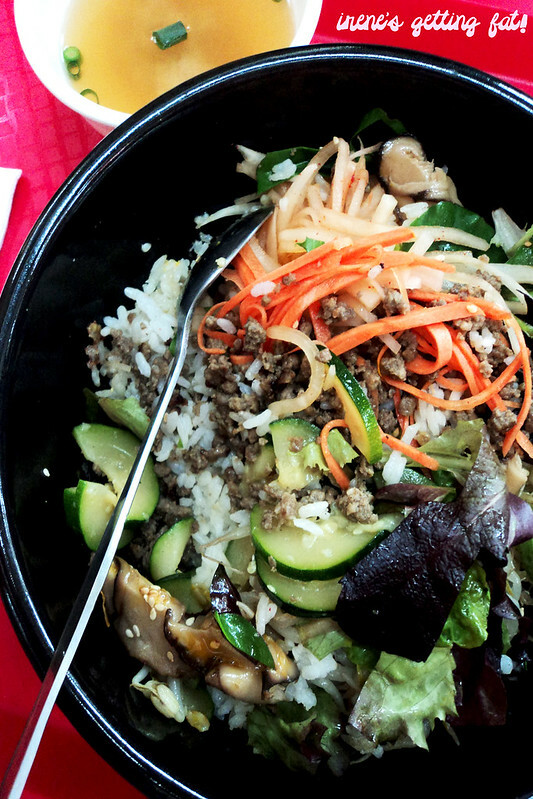 This stone pot bibimbap is warming in every mouthful, it's packed with minced beef, steamed beansprouts, carrot, pickled cucumber, and slices of mushrooms. Topped sexily with an egg yolk, the gold sauce adhering all the components. The bowl is comforting, delicious, and it screams home-cooking at its best. And don't forget the crunchy bits of rice on the bottom of the bowl. The bibimbab is also offered in normal bowl (which is $2 cheaper), but I love scooping crunchy rice. 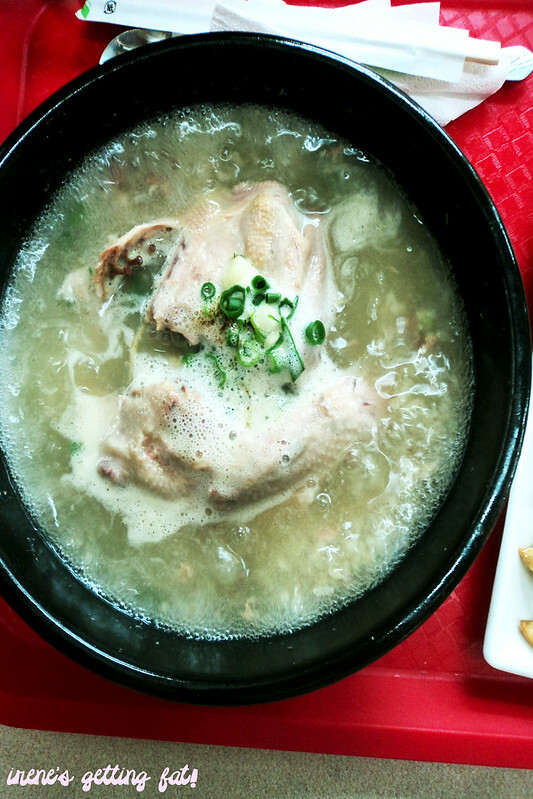 The ginseng chicken soup is perfect for windy days, or days with headache or stomach cramps. The broth is light yet flavorsome, the chicken is rather skinny but the flesh is so tender you can peel it off with spoon. There is some rice on the bottom as well. Now I've found a new comfort food. 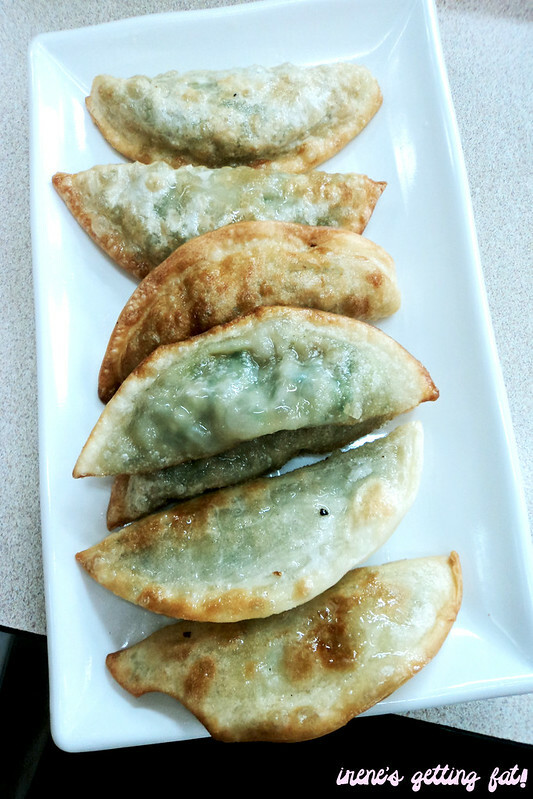 I suspect that the yache mandoo (vegetable dumpling) is fried from a frozen pack, but they are crunchy and I found myself craving for more when the plate is demolished. And the super nice owner gave me an extra, which adds to their lovable points. The lunch special is my choice for practical lunch. It has ddeobokki (Korean rice cakes in spicy sauce), kimbap (Korean style sushi roll), and the vegetable dumplings. I admire their ddeobokki, the sauce has some heat which doesn't appear very often in ddeobokki sauce I'd tried before and the kimbap is more than decent. It may not appear so but this plate is unbelievably filling. There was some misunderstanding about my fried rice order. 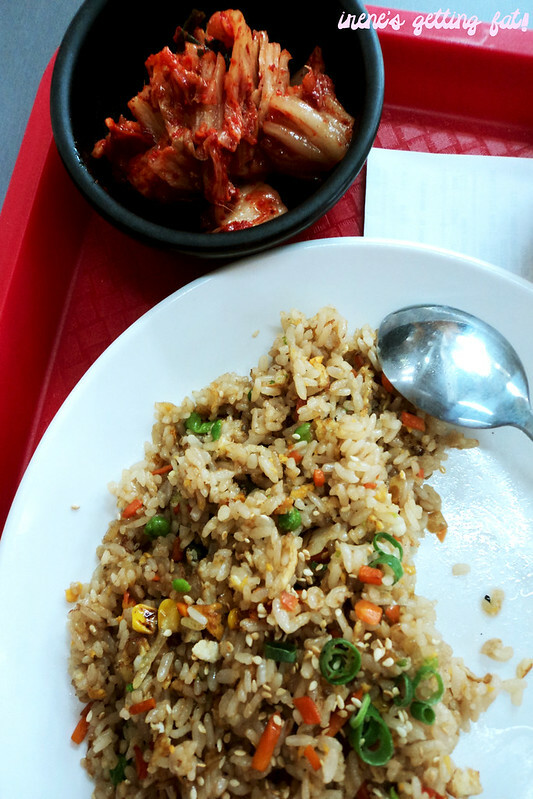 I initially ordered kimchi fried rice, but instead comes a huge portion of vegetable fried rice. It took me few mouthfulls to notice that there wasn't any kimchi involved. And by then the owner came and gave me a bowl of homemade kimchi, $2 change (because vegetable fried rice is $2 cheaper), and sincere apology. 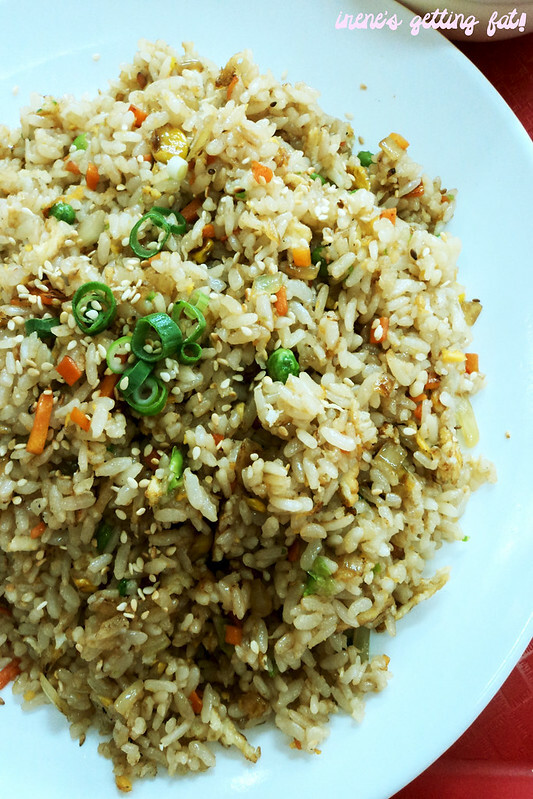 It wasn't any problem for me though, the vegetable fried rice is so palatable I couldn't even complain. It's really tasty; perfected with sweet corn kernels, peas and carrot. The rice is cooked to such perfection you can separate every grain. The homemade kimchi is also praise worthy, I almost asked them to get me a container of the kimchi for takeaway. And have I told you that the portion is huge? With that price tag, it's almost unbelievable. Every visit I made, it actually made my day. Definitely coming back to try all of the menu! 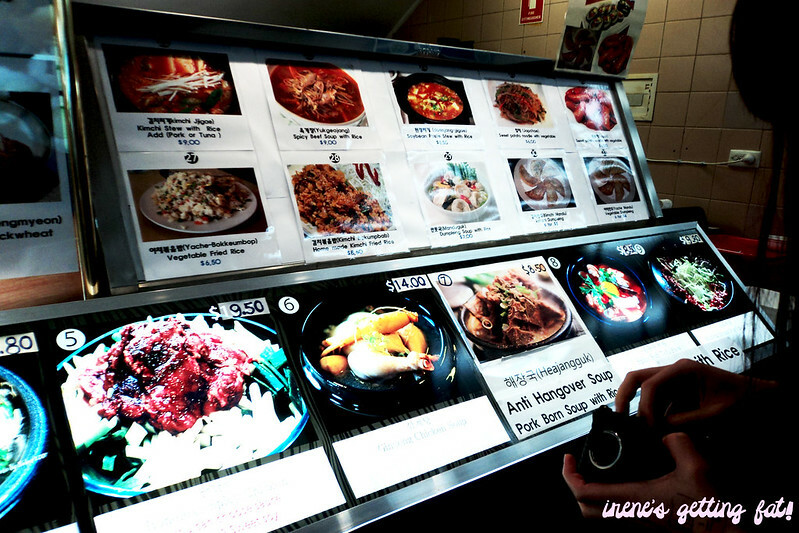 Perfect place for a quick Korean feed, nice food but exceptional service, with super affordable price. UPDATE 17/12/12: Sadly, Kimchi & Sushi House has been closed. Corner of Little Hay St. and Dixon St.